This year, I think I’m going to let Cheryl Strayed inspire me, mostly because I wear my hiking socks on the regular anyway. If you could dress-up like a character in any of this year’s nominated films, who would you choose? Who else is excited for Oscar night? We’re super pumped for hours of red carpet commentary this Sunday, not to mention placing our bets on the nominees! 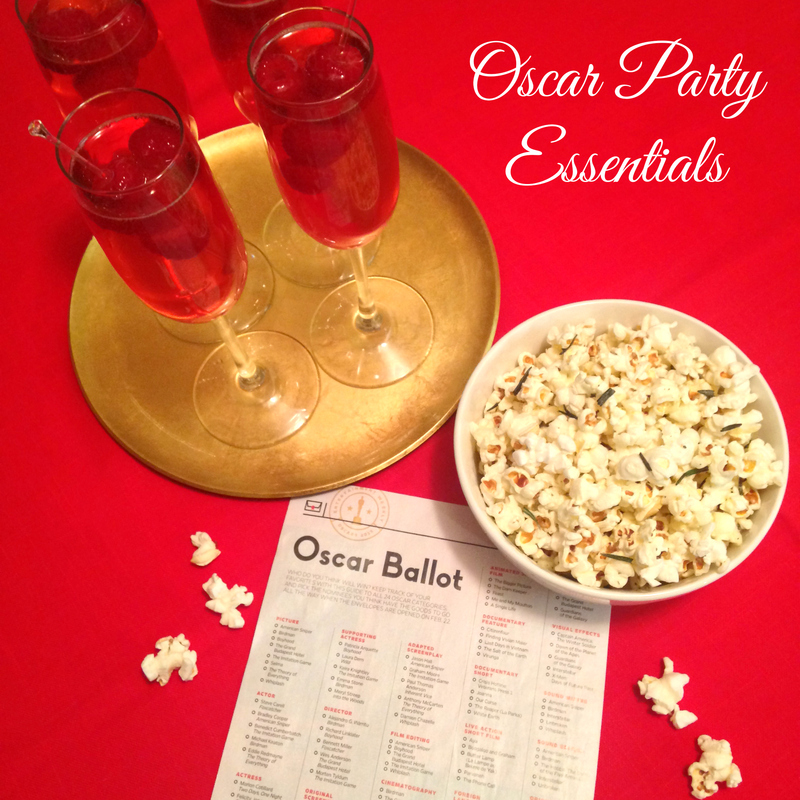 Jules has already planned out some creative Oscar-themed appetizers, and I have taken it upon myself to create the perfect cocktail for your Oscar party: the Red Carpet Sparkler. A variation on the Kir Royale, it’s sweet but not overpowering, and sure to be a crowd-pleaser. My two selfless taste-testers and I loved it (thanks for the assistance, ladies!) and we all have very different preferences when it comes to alcohol. Read on for the recipe! 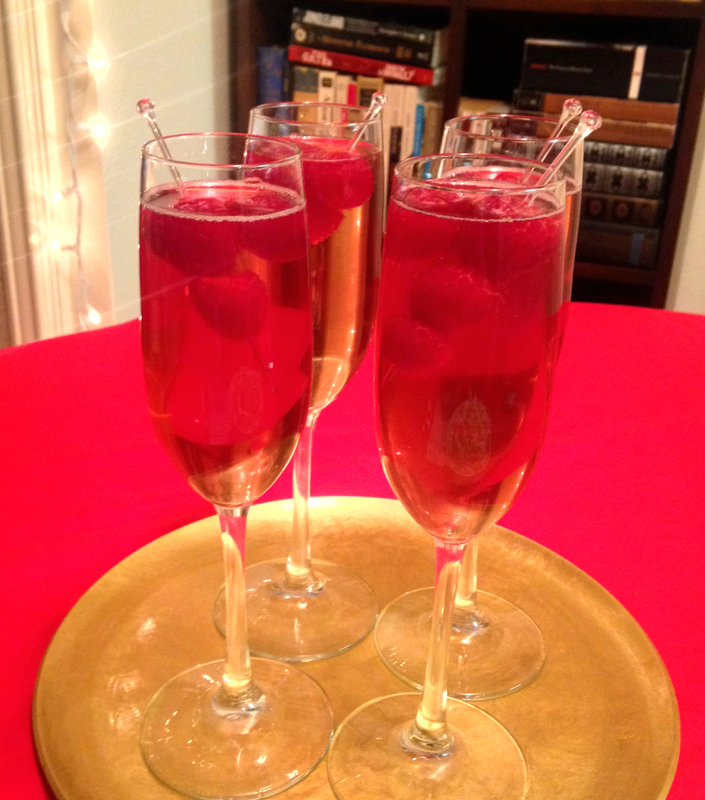 Pour a little bit of Chambord into the bottom of a champagne flute. Add equal parts champagne and St. Germain (about 2 ounces of each), then top with a splash of pomegranate juice. Garnish with fresh raspberries and enjoy! Cook the popcorn on the stovetop as normal (if you’ve never done this, it’s so easy and tastes so much better than the microwave stuff)! Dump into a large bowl and set aside. While the pot is still warm, melt your butter over very low heat and once it’s liquefied, add the truffle oil. Then stir in a generous heap of garlic salt, along with the fresh rosemary. Let it sit for a minute or two so the mixture has a chance to absorb the rosemary flavor. Drizzle it over your popcorn and toss vigorously. Serves 3-4. 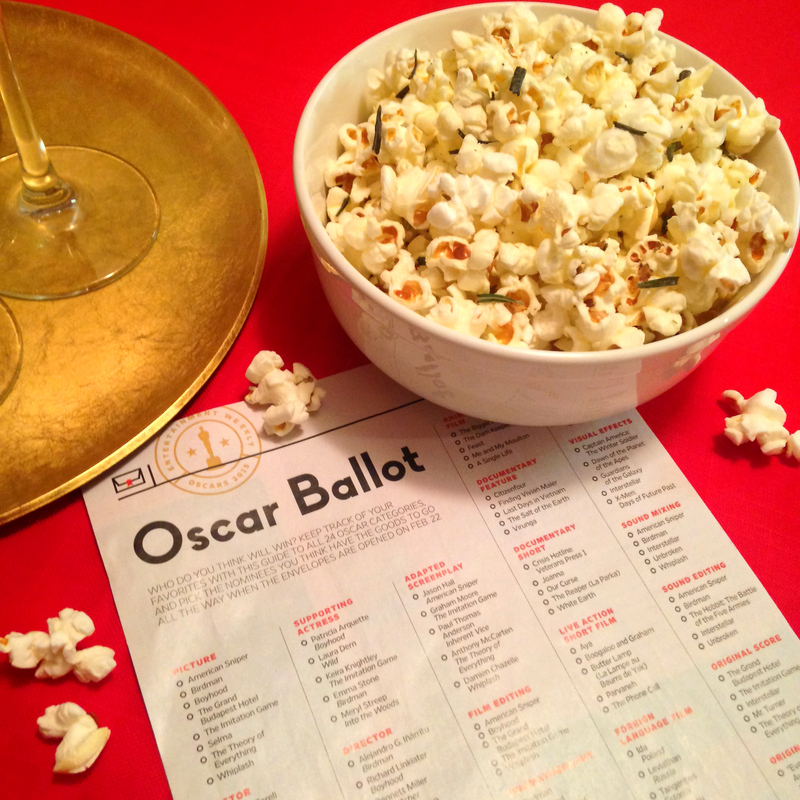 Do you have plans for Oscar night? 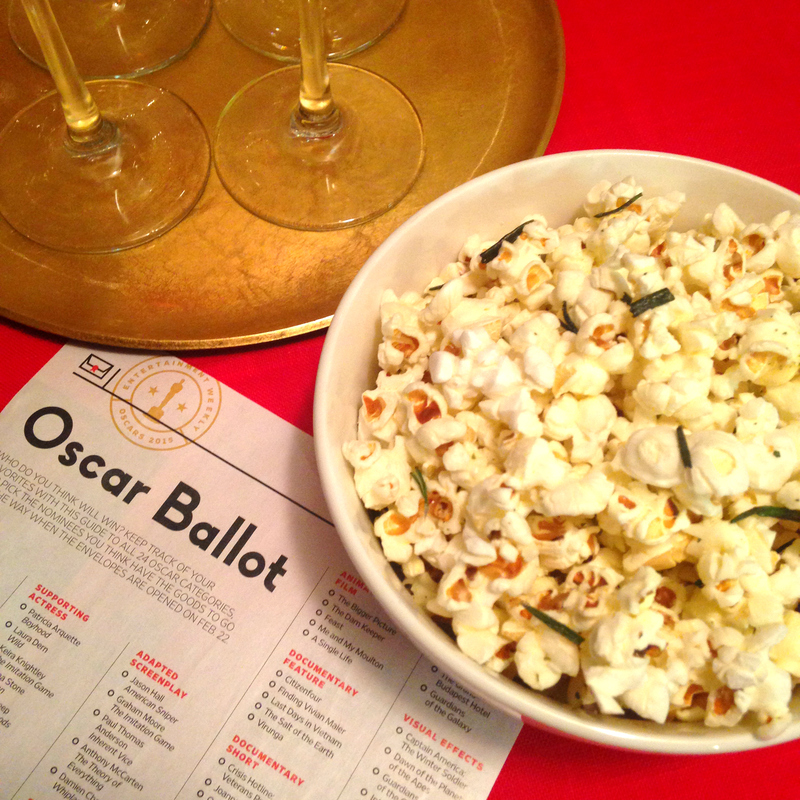 If you’re hosting a party, you can download printable ballots for your guests here. What’s your pick for Best Picture? More importantly, who do you think will be best dressed?